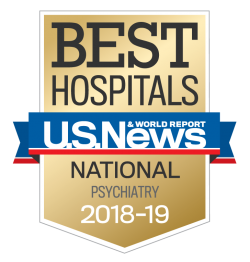 From a highly-specialized inpatient unit, to a day hospital, to crisis beds, to psychiatric rehabilitation day programming, we have the expertise and the resources to help individuals who are experiencing their first psychotic break, or those who have struggled with psychosis for a long time. The Harry Stack Sullivan Day Hospital is a unique program specially designed for adults 18 and older who are experiencing psychosis due to mental illness. Our day hospital provides treatment five days per week, allowing patients to return to their own homes or to our specialized crisis beds, at night.